Utilising a unique saddle-shaped form, prestigious designers Burlington have created a stunning centerpiece that speaks volumes of luxury and relaxation. 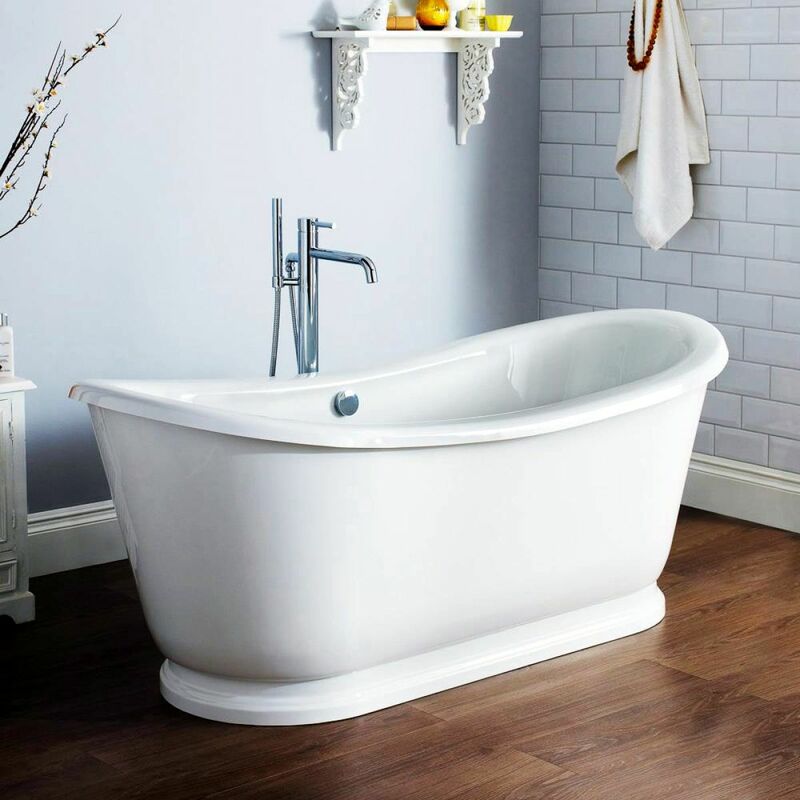 The Admiral Freestanding Bath is a stylish and inviting piece, carefully crafted to give the user the most comfort possible. Its interior curves slope at the right gradient for comfortable back support, with the exterior mirroring these qualities for a full, visual effect. 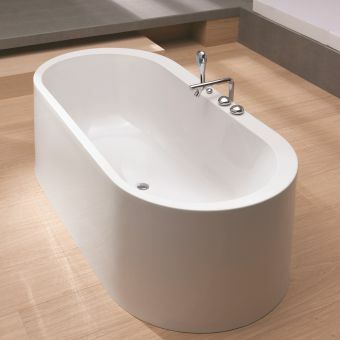 Its Lucite acrylic coat provides strength and a pleasing, tactile surface, making this the ultimate luxury bathtub in which to unwind and relax. Please note that this bathtub requires separate, floor-standing bath fillers, which can be ordered separately. Please see our extensive range of fillers and mixers for further ideas and inspiration.